The holiday season is almost upon us, and metro Detroit is the spot to find items as unique as the people on your list. From fragrances, clothing, handcrafted goods, and more, you’ll find one-of-a-kind presents at these newly, and soon-to-be, opened shops. POST opened its doors in late September in a former post office building. No longer selling stamps and boxes, POST is the spot for home goods and housewares. Find everything from locally made furniture, handcrafted jewelry, to other knick knacks. If DIY is more your thing, POST also offers various workshops and classes. Rachel Lutz adds to her chain of Detroit-native retailers with her latest boutique, Yama. Lutz’s new shop will feature contemporary clothing and accessories – perfect for the modern woman. Just down the hall, Lutz is also opening a second location Peacock Room location. The space will also be home to a small bridal boutique featuring selections for brides who favor the vintage look. The shop is set to open Nov. 25. Relocating from Chicago back to her hometown of Detroit, founder Caitlin Riney opened the doors to her menswear shop in Corktown in October. With a goal to uplift moods and offer items for everyone’s style, size, and price points, George Gregory is a one-stop shop for men’s fashion. Calling all vintage lovers! Vintage pop-up boutique The Lowry Estate is opening its doors to its brick-and-mortar location. Curator and proprietor Corliss Williams specializes in finding pre-loved, bold looks from the 70s through 90s. The shop sells one-of-a-kind women’s clothing, shoes, and, on occasion, a small selection of menswear. The open house will be Nov. 18-19 from 12 p.m. to 5 p.m. Downtown Detroit Markets will be open from November 17 until January 7. 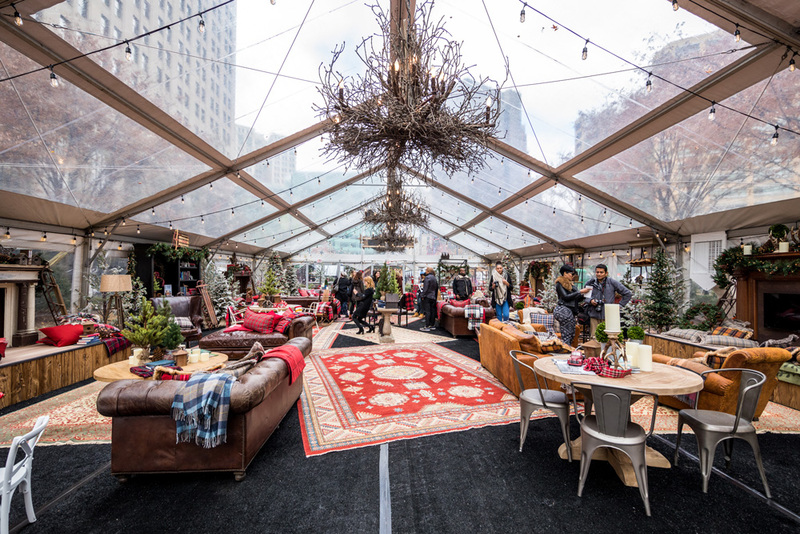 With over 30 booths ranging from art galleries, local businesses, and food vendors, the markets are simply an addition to the holiday festivities along Woodward. In a press release, James Chapman of Quicken Loans says he hopes the markets will “give local artists, makers, and small businesses an unmatched opportunity to expose their brand to millions of shoppers in a dynamic retail environment.” Noteworthy vendors include Rebel Nell, The Lip Bar, Flamingo Vintage, Citizen Yoga, and Eatori. 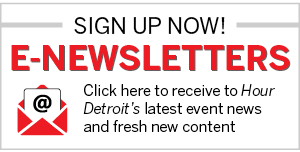 Downtown Detroit Markets will be open Monday – Thursday from 11 a.m. – 7 p.m., Friday and Saturday from 11 a.m. – 8 p.m., and Sunday from 12 p.m. – 5 p.m. It will be closed on Thanksgiving and Christmas Day. Is there really a better gift than chocolate and cheese? This month Provisions, a new chocolate, cheese, and charcuterie shop, opened in Ferndale, just in time for the holiday season. Headed by cheesemonger Zach Berg and William Werner, the space will feature a variety of cut-to-order cheese and craft chcolate, as well as pop-ups, events and tastings. Detroit-based Stfumato is a collaboration between husband and wife Kevin Peterson and Jane Larson. The duo’s fragrances are made with only natural ingredients. Currently, Sfumato’s unisex fragrances are sold in stores and online nationwide. Locally, you can find their unique scents at Mills Apothecary or at pop-up shops throughout Detroit. Stufmato will soon be opening a flagship retail location in Corktown. Popular Detroit-based flower shop Pot + Box will find a permanent home inside the Fisher Building alongside YAMA and The Peacock Room. Known for their mobile flower truck, the business utilizes local and all-American flowers, as well as sustainable practices, in their unique floral arrangements. The shop is slated to open on December 8. Know a new retail location we should keep our eyes on? Let us know in the comments below!